Timeline For U.S. Citizenship - Experienced Law Firm Utah | Buhler Thomas Law, P.C. 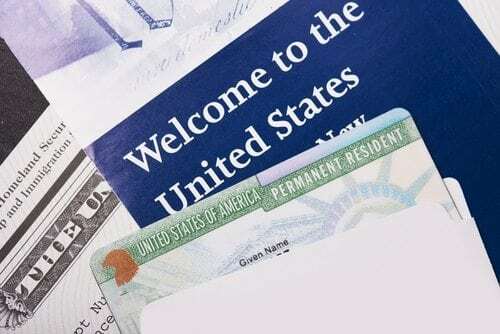 If you hold a green card and are looking to apply for full citizenship in the United States, filing an application will only be the first part of your process. There are steps beyond simply getting your application approved, and this approval is not a guarantee of citizenship. At the offices of Buhler Thomas Law, P.C., we’re here to help. Let’s go over the steps to a citizenship approval, including the application, and how a citizenship attorney can help. The application is indeed the first step of this process. You’ll have to fill out form N-400, the Application for Naturalization within the U.S. Citizenship and Immigration Services (USCIS). Once you’ve filled out this application and it has been received by the USCIS, you’ll receive an application receipt from them – in general, this will take place within two weeks of the date on which they received your application. All naturalization applicants will be required by the USCIS to submit biometrics information. You’ll have to set an appointment with them to appear at one of their Application Support Centers so biometric data can be captured – this helps them perform background checks, among other things. In most cases, these appointments will be scheduled within a month of receiving your N-400 application. From here, you’ll have to go through a naturalization interview with the USCIS to test your knowledge of U.S. history and your use of English. You’ll be asked about your background and your application, and you’ll then take a test for both English and civics. In some cases, you may qualify for an exemption to the test or a waiver. Your immigration lawyers can inform you if this is the case. If your interviewing officer finds that you’re eligible, you will be approved. After this, you’ll be scheduled for a naturalization oath ceremony, where you’ll take the Oath of Allegiance and will be issued a naturalization certificate. This ceremony is usually around a month after your interview, or sometimes a bit longer if more documentation is needed. These times will vary between service centers. For more on the citizenship process, or to learn how our immigration lawyers can help, contact the offices of Buhler Thomas Law, P.C. today.